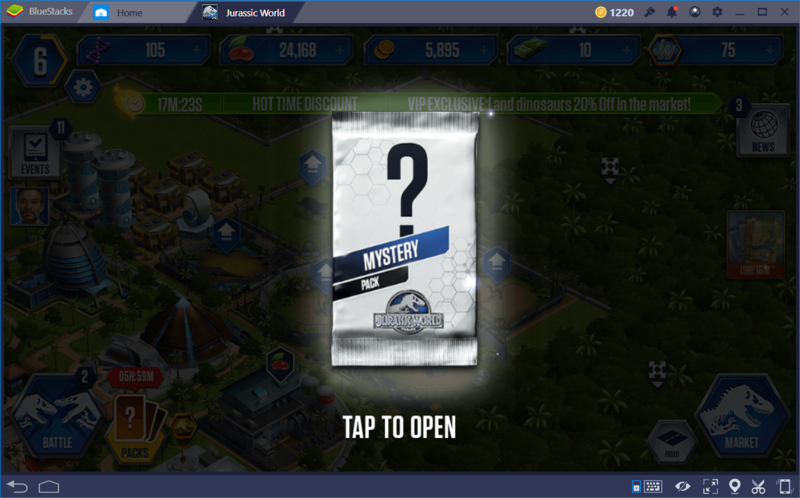 As many of you may know by now, Ludia’s latest park building game, Jurassic World: The Game, is riddled with myriad tasks and stuff to do, all of which can give unique and awesome rewards upon completion. However, in a game where there is so much variety to the things you can accomplish, how would you go about choosing the best course of action to improve your park? Luckily, some decisions can weigh more than others. Similarly, there are some tasks that should take priority over others due to the rewards they grant to players who complete them. In this guide, our objective is to make a recap of the most important aspects that you need to keep in mind in order to progress further in the game, and that should take priority over other stuff. That being said, feel free to follow the following tips and tricks to stay on top of the competition and build the best Jurassic Park theme park. 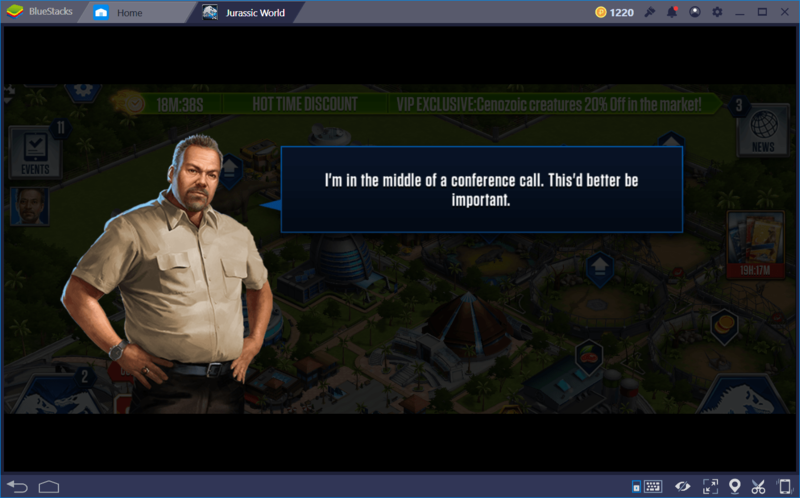 Missions are the key to progressing through the story of Jurassic World: The Game. They consist mostly of easy tasks that can be completed by waiting until you collect X amount of resources, or by building stuff. 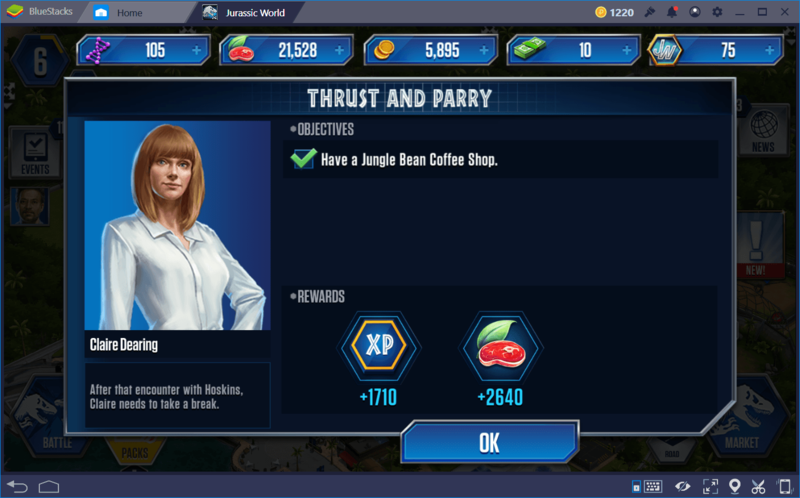 In any case, these missions also help to prepare your park for future tasks. For example, at the start of the game, you’re asked to place some dino cages in your park for exhibition purposes. Later in the game, you’ll also be asked to collect a number of coins from said dino exhibits; so it could be said that one mission led to the other. Similarly, some combat missions require you to put your favorite dinos against computer-controlled enemies. 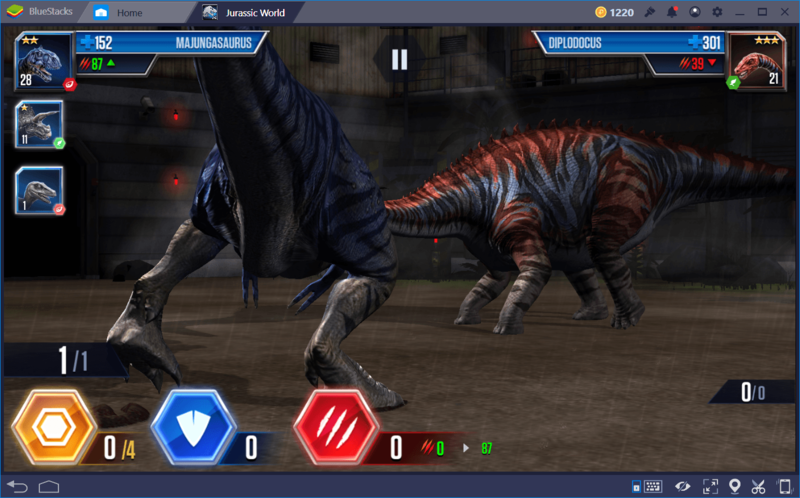 These missions are often preceded by other tasks that ask you to collect a certain amount of food, which can then be used to strengthen your dinosaurs in anticipation for the upcoming battle. Most missions in the game happen for a reason. If completing them for story purposes isn’t enough incentive for you; do them because you’ll likely need to do them anyway in anticipation for other tasks. In this game, there are many ways to earn XP. Constructing buildings is the most straightforward path to leveling up. Upon the completion of any building or decoration, you receive a small amount of XP that contributes towards your leveling process. If you find that need to level up quickly, and don’t mind investing some coins for the cause, you could construct a bunch of stuff for the sweet XP boost, and immediately resell them to get back half your money. Sure, it might not be the most cost-efficient solution, but it’s a great way to level up on your downtime if you have the extra money lying around. 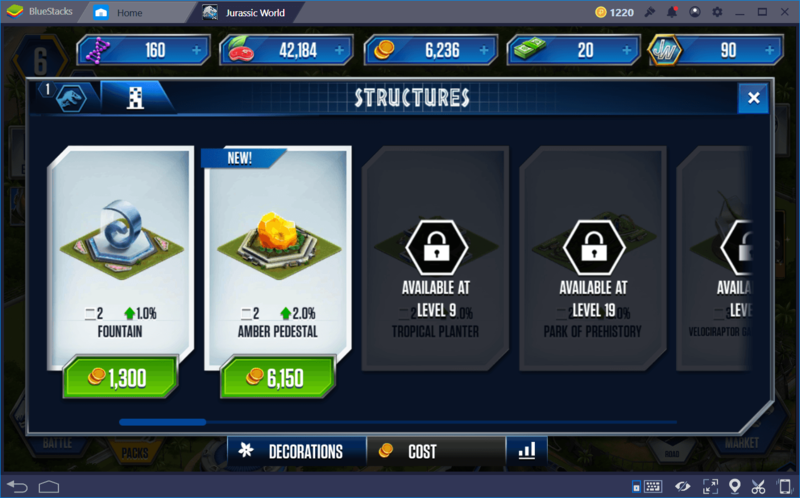 If you decide to proceed with this method, be sure to only use decorations, as they can give decent XP, and are constructed immediately, in contrast to buildings which can take several minutes to get completed. Some players might feel compelled to dump their first turn on attack or defense, which could be a great course of action if they had a significant advantage on the opposing dino. However, if the two are evenly matched, a good strategy is to spend the first turn charging up points, so that they can unleash a devastating 1-hit kill attack on the next turn. If the enemy is stronger than the player, they might need to build up for two turns, using a combination of charge+defense on the second turn to guarantee that they’ll survive until they get the chance to use up their stored points on the next turn. One good strategy to win battles is to use a weak but sturdy dino as your point man. 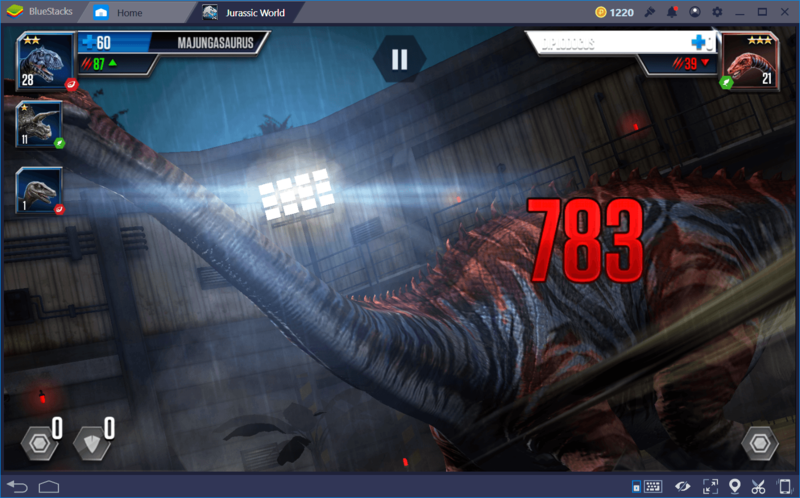 This dino should not be strong offensively but should have high HP in order to withstand multiple hits from the enemy. The objective behind this is to use this dino as your point man, in order to help you store your points for the other members of your team. It doesn’t matter if your starter dinosaur doesn’t make it; he’s not supposed to. His objective is to set the stage for the killers in your team. As long as he can survive enough to give you plenty of battle points, then his objective will have been fulfilled, and your team will fare much better thanks to it. As a general rule of thumb, you’ll never want to switch out a dino with low HP during single-player matches. In these cases, it’s simply much better to sacrifice the dino in order to build up more points in his final turn, since you already know the other dinosaurs that your opponent has in reserve and can use this knowledge to your advantage. In PvP arenas, however, you never know what your enemy has in store for you in his lineup. In this sense, if one of your main attacker dinos is close to dying, it may be a good idea to switch him out for a fresher one. In this sense, it’ll give you a fighting chance against the enemy, especially if your previous dino had a type disadvantage that could’ve been easily exploited by the enemy. When All Else Fails, Be Sure to Log In Every Day! Most games offer some sort of incentive to get players to play every day, and Jurassic World: The Game is no exception. For this reason, make sure to log in every day to claim your mystery pack, which can be redeemed every 6 hours, and will be likely available as soon as you wake up. 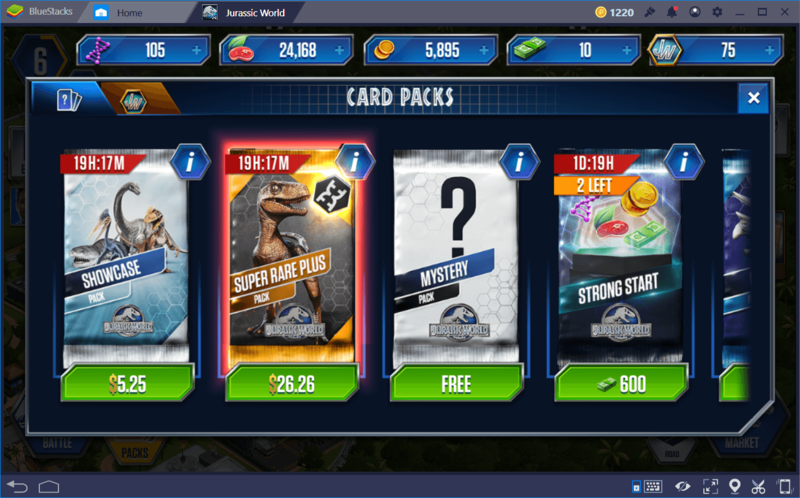 These awesome packs can contain anything from food, coins, and Dino Bucks, to DNA, timed-missions, and even a dinosaur! The objective of this game is to make your way through its story missions and level up, allowing you to unlock more stuff to expand your park and make it the best the world has ever seen. To this end, you can use the tips in this guide to help speed up the process. Be sure to play on BlueStacks, though, so you can peruse this and all other guides from the comfort of your PC browser, without having to close the game like you would have to if you were playing on your phone. 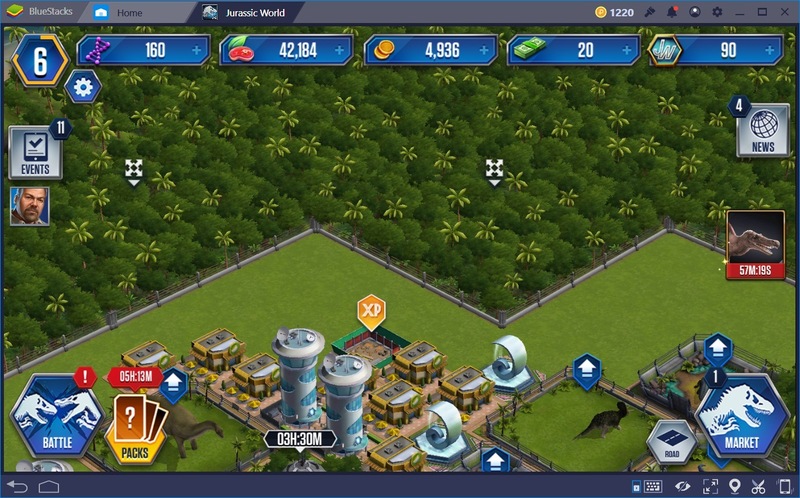 Do you have any other tips for progressing in Jurassic World: The Game? Please share them in the comments below!